Conference Keeper-- the most complete collection of Genealogy events online!! Facebook Groups with a Genealogy focus are also a great resource and there are a variety of groups which range from beginner to advanced including genetic genealogy groups. 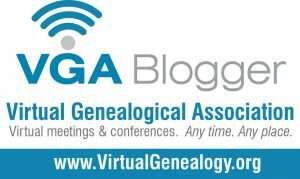 Federation of Genealogical Societies-- Many of the state societies sponsor free webinars. Great Resources here! How Harry Potter Can Teach You About DNA by Blaine Bettinger, Ph.D., J.D.